ISO 9001 certification aims at providing a global standard that spells out quality. ISO certification process is designed to align processes affecting customer satisfaction, from review of product requirements to delivery of the finished product. The intent of ISO 9001 Certification requirements is to provide the universal and uniform baseline for management with regard to Quality. ISO 9001 Certification by CE Marking Mumbai indicates organization's adherence to Quality Management practices and as a truely Auditing Firm, offers Value AdditionAuditing Services in QMS Auditing. Auditing Services of CE Marking Mumbai are designed to meet Global Standards that deliver Credibility in QMS Certification. To Achieve this objective, professionally trained auditors are deputed to identify 'Opportunities for Improvements' in ISO 9001 Certification. 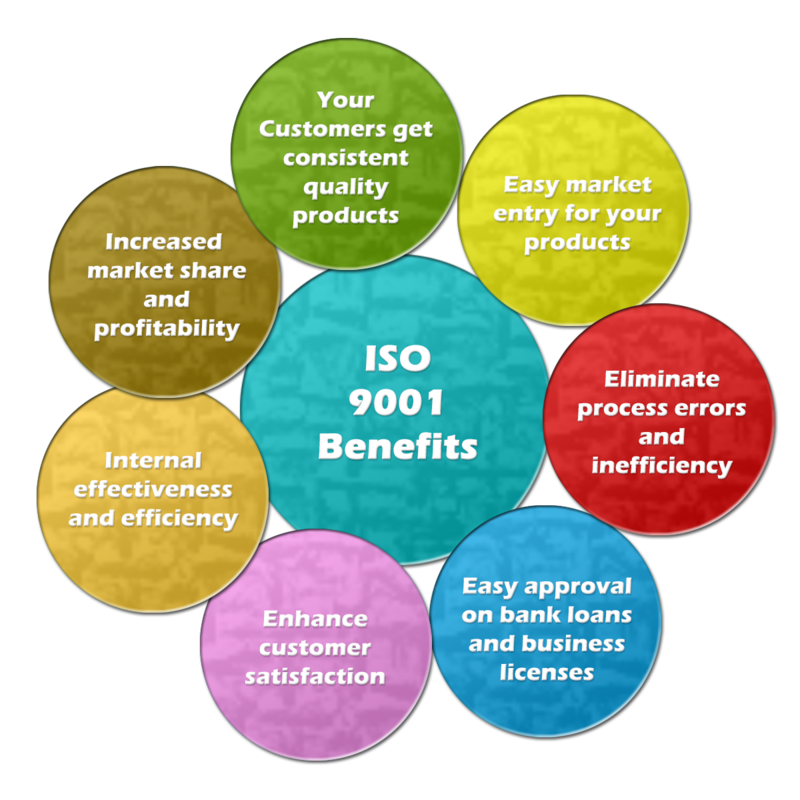 ISO 9001 Standard is applicable to all types of organizations irrespective of size or nature such as Hospital, Health Care, Trading, Manufacturing, Service Companies, Software, Construction, Medical Devices India.